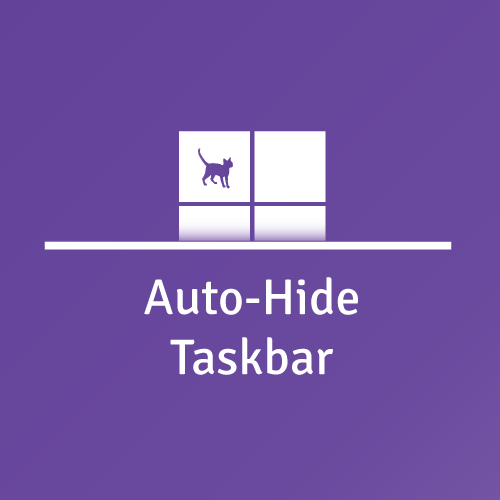 Under this End User License Agreement (the “Agreement”), Number 9 Creative dba Nibbler Apps (the “Vendor”) grants the user (the “Licensee”) a non-exclusive and non-transferable license (the “License”) to use Auto-Hide Taskbar Tablet Mode (the “Software”). “Software” includes the executable computer programs and any related printed, electronic, and online documentation and any other files that may accompany the product. The rights and obligations of this Agreement are personal rights granted to the Licensee only. The Licensee may not transfer or assign any of the rights or obligations granted under this Agreement to any other person or legal entity. The Licnesee may not make available the Software for use by one or more third parties. License Fee. The original purchase price paid by the Licensee will constitute the entire license fee and is the full consideration for this Agreement. Software is subject to a limited warranty. Vendor warrants to Licensee that the physical medium on which this Software is distributed is free from defects in materials and workmanship under normal use, the Software will perform according to its printed documentation, and to the best of Vendor’s knowledge Licensee’s use of this Software according to the printed documentation is not an infringement of any third party’s intellectual property rights. In case of a breach of the Limited Warranty, Licensee’s exclusive remedy is as follows: Licensee will return all copies of the Software to Vendor, at Licensee’s cost, along with proof of purchase. (Licensee can obtain a step-by-step explanation of this procedure, including a return authorization code, by contacting Vendor. At Vendor’s option, Vendor will either send Licensee a replacement copy of the Software, or issue a full refund for the purchase price. Notwithstanding the foregoing, VENDOR IS NOT LIABLE TO LICENSEE FOR ANY DAMAGES, INCLUDING COMPENSATORY, SPECIAL, INCIDENTAL, EXEMPLARY, PUNITIVE, OR CONSEQUENTIAL DAMAGES, CONNECTED WITH OR RESULTING FROM THIS LICENSE AGREEMENT OR LICENSEE’S USE OF THIS SOFTWARE. Licensee’s jurisdiction may not allow such a limitation of damages, so this limitation may not apply. Licensee agrees to defend and indemnify Vendor and hold Vendor harmless from all claims, losses, damages, complaints, or expenses connected with or resulting from Licensee’s business operations. Vendor has the right to terminate this License Agreement and Licensee’s right to use this Software upon any material breach by Licensee. Licensee agrees to return to Vendor or to destroy all copies of the Software upon termination of the License. This License Agreement is the entire and exclusive agreement between Vendor and Licensee regarding this Software. This License Agreement replaces and supersedes all prior negotiations, dealings, and agreements between Vendor and Licensee regarding this Software. This License Agreement is governed by the law of Minnesota applicable to Minnesota contracts. This License Agreement is valid without Vendor’s signature. It becomes effective upon Licensee’s use of the Software. Vendor has the right to modify this agreement at any time without notification.